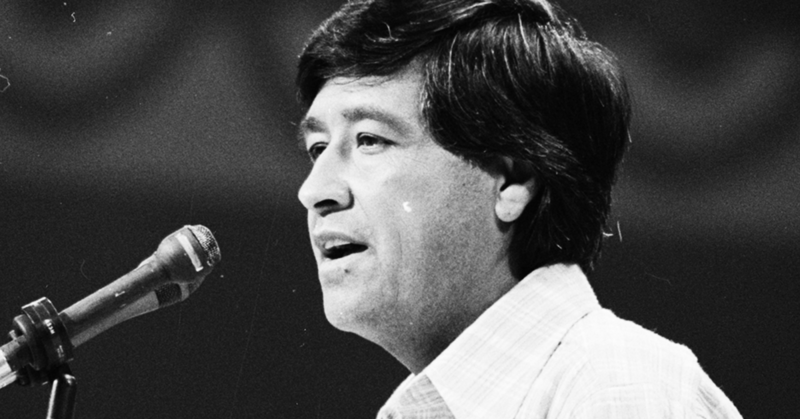 How a hate group is rewriting history to make Cesar Chavez's birthday "National Border Control Day"
For years, the Center for Immigration Studies (CIS) has pushed to rename Cesar Chavez Day -- a holiday to commemorate the farm workers’ rights activist -- as “National Border Control Day,” taking Chavez’s comments on undocumented immigrants out of context to claim he supported anti-immigrant measures. CIS may now get its wish, as Rep. Louie Gohmert (R-TX) has introduced a proposal to make March 31 “National Border Control Day,” a move being promoted by some conservative media. Mark Krikorian, the executive director of CIS, is a contributor to the conservative publication National Review and has repeatedly used his platform to try to spur a grass-roots movement to change the holiday. But his organization, which the Southern Poverty Law Center has deemed an anti-immigrant hate group, has reach that extends beyond National Review. The group is routinely cited by a number of other outlets in the right-wing media sphere, many of which are following its lead and promoting CIS and Gohmert’s effort to rewrite Chavez’s legacy. While right-wing outlets are laser-focused on Chavez’s early comments on immigration, they tend to ignore the ways in which his position evolved. It’s true that Chavez initially voiced strong opposition to the presence of undocumented immigrants in the U.S., at one point referring to them with derogatory terms such as “wetbacks” and “illegals”, out of fear that they would undermine the United Farm Workers’ (UFW) unionizing effort. The right’s eagerness to associate Chavez with a more militarized border comes from his now-infamous “wet lines,” a violent protest in which UFW patrolled the United States’ southern border with the intention of intercepting undocumented immigrants attempting to cross. This context undermines CIS’ attempt to normalize its anti-immigrant views, yet its right-wing media allies are obliging the group’s revisionist history. The fact that at least one lawmaker is taking steps to realize one of CIS' dreams shows the hate group’s growing influence under President Donald Trump. By advocating for this holiday, CIS and Gohmert are cherry-picking uninformed 1970s-era talking points on illegal immigration. While it’s unlikely right-wing media will dial back their relationship with the group, mainstream media outlets should cover CIS with skepticism and be sure to accurately convey the group’s nativist agenda. President Donald Trump’s February 23 tweet about MS-13 came minutes after Fox & Friends co-host Steve Doocy spoke to Jessica Vaughan of the Center for Immigration Studies, an anti-immigrant group that has been labeled a hate group by the Southern Poverty Law Center (SPLC) for its ties to white nationalists. Fox & Friends then reported on Trump’s tweet, hyping his misguided policies to combat the gang and demonstrating the disturbing feedback loop between the president and his favorite morning show. The Fox & Friends hosts then took the opportunity to reiterate their claims about MS-13 and undocumented immigrants and praise Trump’s policies, which co-host Pete Hegseth called “common sense.” But experts say the Trump administration policies are counterintuitive to combatting the gang. Research ››› September 5, 2017 4:43 PM EDT ››› CRISTINA LóPEZ G.
Attorney General Jeff Sessions announced the Trump administration’s decision to rescind Deferred Action for Childhood Arrivals (DACA), an Obama-era immigration policy that protects around 800,000 undocumented immigrants who came to the United States as children from immediate deportation while allowing them to work legally. Sessions’ announcement was full of familiar anti-immigrant lies, previously spewed by nativists and right-wing media outlets. The White House has endorsed the RAISE Act, a staunchly anti-immigrant piece of legislation that would drastically cut legal immigration to the U.S. on the false premise that immigrants have a negative impact on the economy. To defend its support for the bill, the White House relied on widely-criticized studies by the Center for Immigration Studies (CIS) and cited the Federation for American Immigration Reform (FAIR) and NumbersUSA for their praise of the bill. CIS, FAIR, and NumbersUSA are anti-immigrant nativist groups and the Southern Poverty Law Center (SPLC) has labeled FAIR and CIS as “hate groups.” After years of right-wing media promoting their policies and mainstream media legitimizing them in their reports, the Trump administration is finally manifesting their nativist wish list. The “nativist lobby,” which consists of the Center for Immigration Studies (CIS), the Federation for American Immigration Reform (FAIR), and NumbersUSA, has consistently opposed the Deferred Action for Childhood Arrivals (DACA) program that allows undocumented immigrants to live, work, and go to school in the United States without fear of deportation and it has used both right-wing and mainstream media outlets to rally support for its message. The Trump administration’s lack of support for the program and a threat by 10 Republican states’ officials to sue the federal government if it doesn’t rescind DACA by September has now aligned with the nativists' demands, meaning protection for over 800,000 undocumented immigrants could soon come to an end. While reporting on the sponsored hashtag #BuildTheWall that trended on Twitter on April 19, Refinery29 got right what many mainstream outlets get wrong: it properly labeled the group behind the promotion, the Federation for American Immigration Reform (FAIR), as an anti-immigrant hate group and showed evidence of the group’s white supremacist origins and nativist ties. FAIR paid to promote the #BuildTheWall hashtag on Twitter as part of its agenda to push President Donald Trump’s anti-immigrant policies -- many of which have been lifted straight from the group’s wishlist and that of its sister organizations, the Center for Immigration Studies (CIS) and NumbersUSA. When covering Trump’s anti-immigrant policies, mainstream media outlets often mischaracterize or outright fail to disclose these groups’ nativist intent of “limiting the number of nonwhites who enter the country,” thus helping hate groups sanitize their image. Media present these organizations merely as favoring “stricter control on immigration” or as calling “for added immigration restrictions” while giving them a platform to push their message. Trump has now tapped members of these groups for his administration and granted them a seat at the table, adding further legitimization to what started with media’s failure to properly identify “the nativist lobby” as hate groups. On Wednesday, #BuildTheWall was the top trend on the social network, thanks to an ad sponsored by the Federation for American Immigration Reform (FAIR). On its Twitter account, the organization says it "fights for a stronger America with controlled borders, reduced immigration and better enforcement. #NoAmnesty". The #BuildTheWall hashtag in itself isn't really a problem. Neither is the text below, which reads: "Help FAIR Push To Get President Trump's Wall Built." After all, people have the right to support the president's immigration policies, and Twitter has had political advertisements for a long time. The main issue for some social media users is that FAIR, the organization behind the trend, is considered an anti-immigrant hate group by the Southern Poverty Law Center (SPLC) and the Anti-Defamation League. "FAIR leaders have ties to white supremacist groups and eugenicists and have made many racist statements," the SPCL's description of the organization reads. "Its advertisements have been rejected because of racist content. FAIR’s founder, John Tanton, has expressed his wish that America remain a majority-white population: a goal to be achieved, presumably, by limiting the number of nonwhites who enter the country." It adds, "One of the group’s main goals is upending the Immigration and Nationality Act of 1965, which ended a decades-long, racist quota system that limited immigration mostly to northern Europeans. FAIR President Dan Stein has called the Act a 'mistake.'" In other words, FAIR is very close to promoting a "white-America only" point of view, under the guise of limiting illegal immigration. According to the SPCL, Stein is the current executive director of FAIR. He has not disavowed the statements made by Tanton, who was one step away from calling himself a white nationalist and who wanted the U.S. to have "a European-American majority." In fact, Stein said in 2009 that his predecessor was "a Renaissance man." Stein seems to have a particular disdain for Latin American immigrants, as shown in a 1997 interview with Tucker Carlson for The Wall Street Journal. "Immigrants don't come all church-loving, freedom-loving, God-fearing… Many of them hate America; hate everything that the United States stands for," he said. "Talk to some of these Central Americans." The #BuildTheWall hashtag was not welcomed by many users, who felt Twitter should have stayed away from promoting ads tied to a hate group. However, a Twitter spokesperson told Refinery29 that even though FAIR holds certain views, the promoted hashtag itself doesn't violate the platform's advertising policies. Therefore, the group is able to advertise with the social media giant. After the Southern Poverty Law Center (SPLC) added the Center for Immigration Studies (CIS) to its annual “Year in Hate and Extremism” report, CIS executive director Mark Krikorian responded in a Washington Post op-ed downplaying the extremism of white nationalism and the white nationalists connected to CIS, including its founder. CIS has a long record of publishing anti-immigrant reports with deeply flawed methodologies, and Krikorian -- who is now saying that labeling his group marginalizes it and thus diminishes public debate -- has in the past assigned his own negative labels to other groups. The media’s problem of citing the anti-immigrant Center for Immigration Studies (CIS) as merely "conservative" -- and effectively elevating it as a legitimate source -- has allowed for the proliferation of anti-immigrant extremist groups in mainstream media. However, some outlets have become a welcome exception by appropriately describing “the nativist lobby” of CIS and its sister organizations, the Federation for American Immigration Reform (FAIR) and NumbersUSA. Media have aided the group in sanitizing its image. Major newspapers such as The New York Times, The Washington Post, Los Angeles Times, The Boston Globe, Politico, and others have all cited CIS within the last year without accurately exposing the group’s anti-immigrant agenda and unreliable research. USA Today routinely publishes articles written by CIS members that misinform readers about immigrants and refugees; the paper justifies the platform as “the opposing view,” offering the space as a counterpoint to the paper’s editorials. CIS is also no stranger to mainstream cable news outlets like CNN. Articles like these are welcome nuggets of truth in a political climate often devoid of facts, especially when it comes to immigration. CIS responded to the New Yorker and New Republic articles, attempting to discredit the outlets as well as the SPLC, which the articles cited. The group’s response underscores the need for other media outlets to ditch the “conservative” label when mentioning CIS and its cohorts and apply the proper name: “anti-immigrant hate groups.” Failure to provide audiences with the complete truth about the nativist lobby will only serve to further their already established influence within the administration and throughout government. President Donald Trump has found in the nativist trio of the Center for Immigration Studies (CIS), the Federation for American Immigration Reform (FAIR) and NumbersUSA the allies he needs for the inspiration, implementation, and support to turn his anti-immigrant campaign promises into policies, according to a new report from The Daily Beast. The relatively small groups, all founded by John Tanton, gained prominence throughout the Trump campaign with a helpful boost from the mainstream media. While the three organizations have a history of shoddy research and pushing misinformation that demonizes immigrants, their normalization in the media has often ignored or obscured their strong ties to white supremacists and the racist ideas that inspired Tanton. Now their messaging that immigrants threaten jobs and lower wages, drain government benefits, and make the country less safe is significantly influencing Trump’s policies. This pipeline makes it more crucial than ever for media to stop sanitizing CIS, FAIR and NumbersUSA by inaccurately presenting them as simply “conservative” -- many conservatives actually reject them -- or merely in support of “stricter” immigration rules, when the groups are in fact nativist organizations whose members promote the ideas of white nationalists. On April 11, 2016, a tiny think tank with a bland name published a 79-point wish list. The list garnered virtually no media coverage, and in the 11 months since its publication has been largely ignored—except, apparently, by the White House. Today, Donald Trump seems to be working through it as he rolls out his immigration policy. A number of the 79 items on the list composed by the Center for Immigration Studies (CIS), have either been implemented or shown up in leaked draft proposals from the administration. It’s a course of events that has that think tank cautiously exultant and has immigrants’ rights activists anxious and disturbed. Mark Krikorian, CIS’s executive director, told The Daily Beast that last month, for the first time, his group scored an invite to the Immigration and Customs Enforcement stakeholder meeting, a gathering that happens a few times a year where ICE leaders talk policy and procedure with immigration lawyers and activists. And he said that since Trump’s inauguration, he’s been in touch with new appointees at the Department of Homeland Security. It’s a new level of access and influence that helps explain the quick, dramatic changes Trump has made in immigration policy—changes that will impact millions of people. Just 50 days into his presidency, and Trump’s team has already discussed, proposed, or implemented upwards of a dozen of CIS’s ideas. CIS isn’t the only restrictionist group to find newly open ears at DHS. Dan Stein, of the Federation for American Immigration Reform, told The Daily Beast his group was also invited to the meeting as well (though he added it received meeting invites from the Obama administration too). Stein said his group has found the Trump administration to be very open to their ideas. And Roy Beck, who heads NumbersUSA—a restrictionist group that boasts a 1.5 million-member email list—said his organization was invited to the ICE stakeholder meeting as well, and has found open ears in the Trump administration, particularly DHS. These three groups share a co-founder: John Tanton, a population control activist who flirted with racist pseudo-science, supported Planned Parenthood, and argued that immigration and population growth were bad for the environment. Immigrants’ rights advocates argue that the groups are covertly white supremacist and motivated by animus towards people of color. President Donald Trump spent part of his February 28 speech to Congress fearmongering about immigrants. His claims that today’s immigration system threatens jobs and lowers wages, drains government benefits, and makes communities less safe come straight from nativist groups and fringe right-wing media outlets that present distorted research as fact and discredit credible studies that undercut their anti-immigrant agenda. Blog ››› February 28, 2017 2:29 PM EST ››› CRISTINA LóPEZ G.
The nonprofit Community Initiatives for Visiting Immigrants in Confinement (CIVIC) surveyed coverage of immigration detention -- or stories about immigrants detained by the U.S. government -- in “a variety of media outlets” from 2009 to 2016 and found evidence that right-wing outlets routinely criminalize immigrants in their coverage. The study also found that the nativist Center for Immigration Studies (CIS) is cited more than other data sources. CIVIC’s report demonstrates that while issues surrounding immigration detention are increasingly visible in the media, coverage in right-wing media outlets like Breitbart.com, The Washington Times, and FoxNews.com is more likely than reports in mainstream media to focus on immigrant criminality. The survey also found that Breitbart.com reports on immigration detentions at a higher rate than other “new media” outlets do. While it’s positive that immigration stories are now more visible in the press, the routine criminalization of immigrants in right-wing media narratives has long been a problem and has dangerous consequences. As a paper from Harvard University’s Kennedy School demonstrated, conservative media portrayals of immigrants have had a profound impact on Republican politics, leaving no room for "compassionate conservatism" and creating a space in which anti-immigrant sentiment can be exploited for political gain. Additionally, the study showed that the nativist group CIS outpaces other immigration data sources in terms of press citations, which is problematic given its perspective. CIS, which has been categorized a “hate group” by the Southern Poverty Law Center (SPLC), was founded by John Tanton, whose record includes advocating for a “European-American majority, and a clear one at that.” CIS has pushed white-nationalist literature, and, according to the SPLC, in 2016 “the group hit a new low” by commissioning Jason Richwine, whose doctoral dissertation “endorses the idea of IQ differences between the races,” to write reports and blog pieces. The reliance on CIS shows that media are helping to sanitize the group by elevating its voice and providing its leaders with platforms to spew anti-immigrant narratives based on shoddy research. The study’s authors also pointed out to a “lack of first-hand migrant accounts in media narratives,” an issue Media Matters has documented in the past. Find a press release with the CIVIC survey results here, and the full report here. Nativist group Center for Immigration Studies and right-wing media outlets touted a deeply flawed and misleading study in order to corroborate top Trump adviser Stephen Miller’s claim that President Donald Trump’s proposal for the construction of a wall along the U.S. southern border would “pay for itself.” Right-wing media's promotion of the flawed study was an attempt to legitimize the Trump administration’s misinformation about undocumented immigrants while also lifting up an anti-immigrant nativist group. Blog ››› February 17, 2017 2:35 PM EST ››› CRISTINA LóPEZ G.
President Donald Trump is turning his anti-immigrant campaign promises into policies by signing an executive order advancing his plans to build a wall across the southern border and expanding the definition of individuals who constitute deportation priorities. Journalists covering immigration policy should keep in mind that a significant segment of the U.S. population views immigration coverage as indispensable in planning their future. There are 42.4 million immigrants in the United States, with various immigration statuses. Many depend on news to navigate the uncertainty of the current environment on immigration, which makes accurate coverage of immigration policy crucial. Inaccurate coverage, and reports that focus on the politics of the issue or fail to highlight the human cost of these policies, do audiences a disservice. Following are some elements that media covering the enforcement of Trump’s deportation-focused executive order need to take into account to be accurate and provide clear information to audiences that need it most. In an executive order signed on January 25, Trump significantly changed deportation priorities to include “convicted criminals, immigrants who had been arrested for any criminal offense, those who committed fraud, and anyone who may have committed a crime.” As The New York Times pointed out, the order “expands the definition of ‘criminal,’” to include anyone who has crossed the border without authorization -- a criminal misdemeanor -- in the priority category for deportation. According to the nonpartisan Migration Policy Institute, under the Obama administration, 87 percent “of unauthorized immigrants now residing in the United States” were not a priority for deportation, as they had not committed serious crimes. Journalists need to emphasize that the new enforcement priorities enacted by Trump “vastly expanded the group of immigrants considered priorities for deportation, including those without criminal records,” if they are to accurately represent the plight of many undocumented immigrants who have not been convicted of crimes and who are being targeted by the administration. For more than a century, innumerable studies have confirmed two simple yet powerful truths about the relationship between immigration and crime: immigrants are less likely to commit serious crimes or be behind bars than the native-born, and high rates of immigration are associated with lower rates of violent crime and property crime. In other words, the overwhelming majority of immigrants are not “criminals” by any commonly accepted definition of the term. For this reason, harsh immigration policies are not effective in fighting crime. Unfortunately, immigration policy is frequently shaped more by fear and stereotype than by empirical evidence. As a result, immigrants have the stigma of “criminality” ascribed to them by an ever-evolving assortment of laws and immigration enforcement mechanisms. It’s easy for journalists to overlook the complicated nuances and crucial distinctions of immigration policy and to unintentionally misrepresent the situations of many immigrants and thus misinform the general public. Because immigration law is complicated and difficult to navigate, audiences are better served by hearing the insights of experts -- rather than political pundits -- who can thread the needle through the most nuanced aspects of immigration policy. Spanish-language networks do admirable work in providing a platform for individuals familiar with immigration policy, including immigrant rights advocates and immigration attorneys who can answer common questions. Media appearances by members of nativist groups that promote the work of white nationalists are an ongoing problem. Groups that the Southern Poverty Law Center (SPLC) has described as part of the “nativist lobby” -- the Federation for American Immigration Reform (FAIR), an SPLC-designated hate group, NumbersUSA, and the Center for Immigration Studies (CIS) -- do not deserve to have their images sanitized, but that’s just what happens when media outlets repeatedly reference them and cite their work without accurately describing their focus. Characterizing these groups as “conservative” organizations that call “for added immigration restrictions” or that favor “stricter control on immigration” without disclosing that their founder, John Tanton, advocates for a “European-American majority, and a clear one at that,” is inaccurate. Doing so omits the full picture of their intentions and helps them access a seat at the immigration policy discussion table, where bigotry should not have a place. Journalists should keep in mind that the subjects of their stories are people whose real lives are deeply affected by immigration policy. They owe it to these residents -- and their children, parents, and other relatives -- to present their stories in a substantive way, capturing their unique experiences and putting them in context. While multiple institutions and journalistic style guides recommend avoiding the use of the word “illegal” to describe people because it is “grammatically incorrect” and simply dehumanizing, many networks continue perpetuating the anti-immigrant slur. The words media use when they discuss a significant segment of the U.S. population have consequences in molding audience images of these communities. By referring to immigrants in a dehumanizing way, media help reduce them to statistics and deportation targets, instead of presenting them as human beings. Just a few days after President Donald Trump signed an executive order banning U.S. entry for refugees from seven Muslim-majority countries, CNN and Fox News both hosted anti-immigrant extremists or members of designated hate groups to discuss the president’s move, effectively legitimizing and normalizing these groups. Neither CNN nor Fox correctly labeled any of the guests as belonging to groups that pursue fiercely anti-Muslim, anti-refugee agendas. Blog ››› January 27, 2017 4:05 PM EST ››› CRISTINA LóPEZ G.
In covering President Donald Trump’s anti-immigrant proposals and new hires, some mainstream media outlets have been misleadingly identifying groups in favor of more restricted immigration as "conservative" or merely supportive of "stricter" rules, when the groups are actually nativist with members that promote the work of white nationalists. The “nativist lobby” is made up of the Federation for American Immigration Reform (FAIR) -- which the Southern Poverty Law Center (SPLC) has designated a hate group -- NumbersUSA, and the Center for Immigration Studies (CIS), among several other smaller affiliated groups. While these three groups’ ties to white supremacists and their reputation for producing shoddy research to advocate for limiting all forms of immigration are well-documented, media outlets have sanitized their image by repeatedly referencing them and citing their work without mentioning their associations with nativism and white nationalism. In the past week alone, several mainstream outlets continued to help normalize these organizations -- specifically the Center for Immigration Studies -- by allowing them to pass as mainstream conservative organizations with a valid seat at the table in the immigration policy conversation. The Washington Post referred to CIS as “a conservative group that calls for added immigration restrictions,” USA Today identified CIS as an institution that “favors stricter control on immigration,” The Tampa Bay Times called it a “Washington D.C., think tank that favors stricter immigration policies,” while the Financial Times took the group’s word, calling it a “self-described ‘low-immigration, pro-immigrant,’” center. These characterizations fail to provide not only a full picture of the groups’ nativist, white nationalist ties but also their true intentions, which their "racist architect" John Tanton describes as a “European-American majority, and a clear one at that.” Even some conservatives are hesitant to attach to these organizations, rejecting their extremism and saying they “loathe the Tanton network.” For example, Neil Stevens of the conservative outlet Red State, recently condemned CIS for pushing white-nationalist literature and called on conservatives to “stop pretending CIS and FAIR are groups we can work with, since the last thing we need is to poison our movement.” It might be too late for that, judging from the number of figures linked to these groups currently joining the conservative-backed Republican administration. Kansas Secretary of State Kris Kobach -- who works as legal counsel to the legal arm of FAIR, the Immigration Reform Law Institute (IRLI) -- influenced Trump’s first two anti-immigration executive orders. The former executive director of FAIR, Julie Kirchner, is set to become chief of staff at the U.S. Customs and Border Protection. Trump’s pick for attorney general, Sen. Jeff Sessions (R-AL), was the keynote speaker at FAIR’s advisory board meeting and has credited the organization for helping sink bipartisan plans for immigration reform. Jon Feere, reportedly a potential Department of Homeland Security hire, has a record that includes promoting the work of a white nationalist website and was a legal policy analyst for CIS. Given Trump’s recent executive orders and indications that he will be adopting these groups’ ideas it has become imperative for the press to correct course and provide an accurate, full picture of their affiliations and motivations.